The Company was established in the early 1940s, the first design project was a single-seat trainer, designated P-1 but it was abandoned before being built. The next project was the SB-2 Pelican which was designed by the Swiss Federal Institute of Technology but it never was built in series. With production of the P-3 for the Swiss Air Force in progress, the company achieved its first export order for six P-3s for the Brazilian Navy. 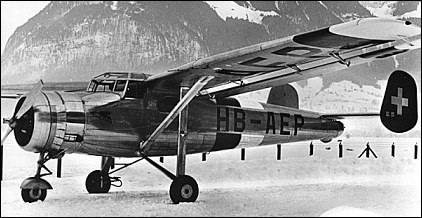 In 1958 design work started on a STOL light civil transport aircraft, this emerged as the PC-6 Porter which first flew on 4 May 1959. In 1965 a twin-engined variant of the PC-6 was built as the PC-8 Twin Porter, although it first flew on 15 November 1967 it remained an experimental and one-off type and development was stopped in 1972. Another project for the PC-10 16-passenger twin-engined transport was started but was not built. The Pilatus PC-6 Porter is a single-engined STOL utility aircraft designed by Pilatus Aircraft of Switzerland. 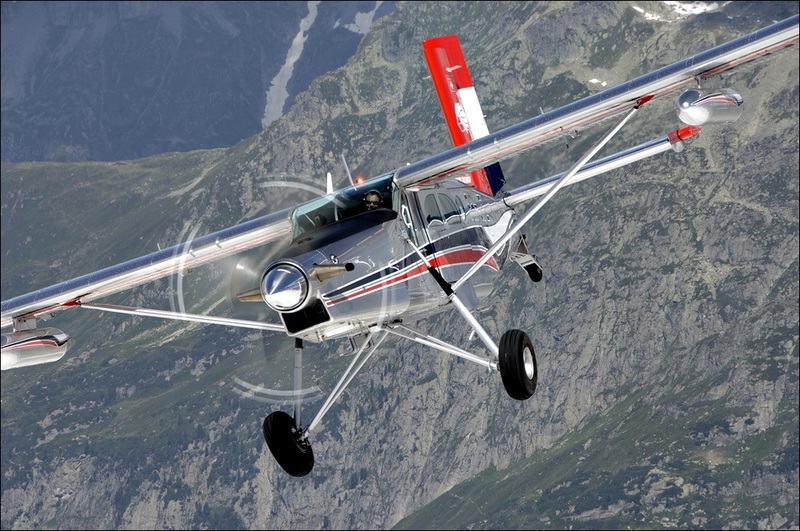 First flown in 1959, the PC-6 continues in production at Pilatus Flugzeugwerke in Stans, Switzerland. It has been built in both piston engine- and turboprop-powered versions and was produced under licence for a time by Fairchild Hiller in the United States. After around 600 deliveries in six decades, Pilatus will produce the last one in early 2019. In 1966 a turboprop-powered variant of the P-3 was flown, designated the PC-7. The aircraft crashed and development was put on hold until the 1970s. In 1975 a further prototype was flown and after further development ,it was marketed as the PC-7 Turbo Trainer. In 1982 development of an improved variant of the PC-7 was started, it emerged as the Pilatus PC-9 in 1984. Development of what was to become the companies best selling type the Pilatus PC-12 was started in 1987, a single-engined turboprop transport that could carry up to twelve passengers or freight. The prototype PC-12 was flown on 31 May 1991. To further the family of military training aircraft the turboprop PC-21 was developed and first flown in 2002. In December 2000, the owners Unaxis (previously called Oerlikon-Bührle) sold Pilatus to a consortium of Swiss investors. In July 2010 the company delivered its 1000 PC-12. 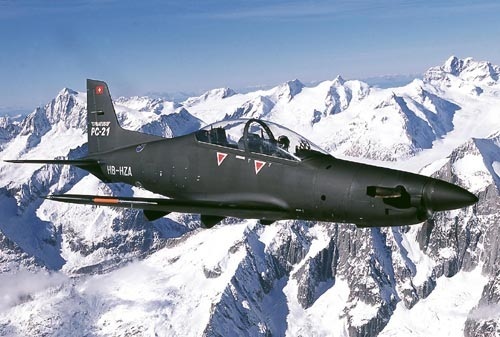 Even in the last years of crisis, Pilatus still confirmed the leadership on this nice market with the help of loyalty versus this Swiss company that delivered excellent products all over the world with many orders of their products like PC-7 MkII, PC-12 NG and PC-21. Pilatus announced last years the development of their first Jet-engine aircraft that should be fly for the first time in 2013 or beginning of 2013, at the moment the official name should be PC-24. Pilatus P-1 – 1941 project for a single-seat trainer, not built. Pilatus P-5 – proposed artillery observation aircraft, not built. Pilatus PC-10 – 1970 twin-engined transport project, not built. For those interested here below a review of a PC-12 NG. Rob Winchcomb, PT6A Customer Manager, is the first to admit that doing Engine Condition Trend Monitoring (ECTM) by hand is a hassle. It requires writing down key engine and aircraft data at a set time during each flight once the plane is at a stable cruising speed, inputting the recorded figures into a computer after landing and sending them to the analysis company for comparison with the results of previous flights. The Royal Flying Doctor Service’s PT6A Powered Beechcraft Kingair 350. Rob walks the talk. Thirty years ago, before joining P&WC, he was on the other side of the fence as a customer, began his aviation career with the Royal Flying Doctor Service and working for other regional airlines in Australia. Back then, he was already a strong proponent for recording and using engine condition data, despite having to do it all the hard way—computing the trend values by hand on a Texas Instruments calculator and plotting his own handmade ECTM graphs. By analyzing parameters such as power, speed and fuel flow on a flight-to-flight basis, ECTM can identify subtle changes in an engine’s performance. Based on the analysis results, P&WC’s engine health monitoring partner CAMP Systems will let the operator and maintenance team know if any actions are required. Is a sudden 10-degree increase in temperature simply the result of replacing a fuel nozzle set? Is an increased power load due to excess air leaking from the cabin rather than an issue with the engine itself? Do you need to take a look at the compressor? ECTM will tell you. This kind of detailed insight into engine performance means that issues can be detected and resolved before they turn into costly repairs and affect operation. It also makes it easier for PT6A customers to move to on-condition hot section inspections. It all adds up to better maintenance planning, lower expenses and increased engine availability. There’s also a financial benefit when selling a used aircraft. If you’ve been consistently performing ECTM, you’ll have a record to show potential buyers that the engine is well maintained. That will give them more confidence, which in turn enhances your aircraft’s resale value. Today, many operators can enjoy all the advantages of ECTM with none of the downsides, thanks to P&WC’s FAST™ Solution for proactive engine health management system. Now available on a growing number of PT6A platforms, the FAST solution captures, analyzes and wirelessly transmits a wide range of engine and aircraft data after each flight, providing detailed, customized alerts and trend monitoring information directly to the operator within minutes of engine shutdown. Besides making operators’ lives simpler through automation, the FAST solution also has the capacity for enhanced functionality going forward. 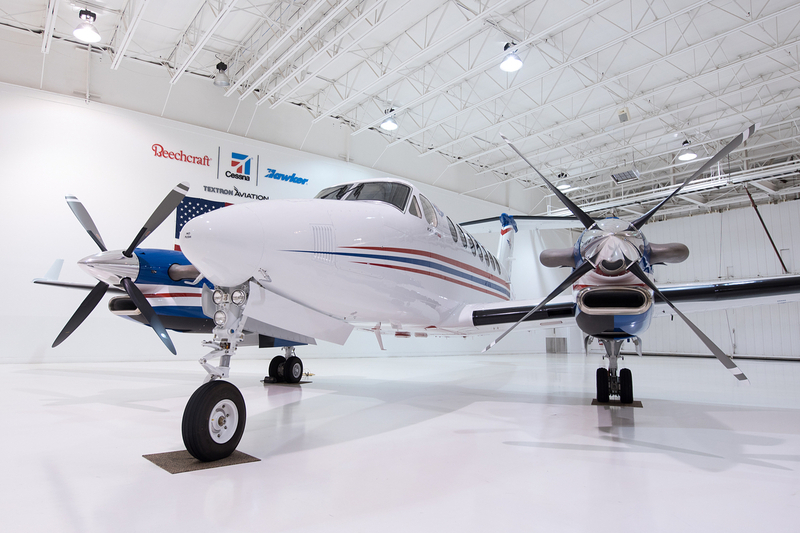 For instance, the company is looking at introducing FAST’s propeller vibration trend monitoring technology – available for regional turboprop aircraft – as a solution for PT6A-powered aircraft in the future. That’s another reason why Rob believes it is now the most attractive solution for customers. Rob has also helped PT6A customers master the art of engine rigging by appearing in a detailed instructional video. Read all about it here. This article first appeared over at AOPA here. Cessna was a little late out of the gate getting a turboprop into its lineup. First was the Cessna 441 Conquest in model year 1978, a full 14 years after Beechcraft’s King Air. Next was the Model 425 Corsair in model year 1981. The Corsair is smaller than the 441 and uses 450-shaft-horsepower Pratt & Whitney PT6s versus the 441’s Honeywell (Garrett) TPE 331 engines. Concurrent with a max takeoff weight increase to 8,600 pounds, Cessna dropped the Corsair moniker and renamed the 425 Conquest I while reassigning the 441 the name Conquest II. Confused yet? The 425 is best described as a 421 Golden Eagle with turbines in place of pistons. Aside from sharing the same basic dimensions, the similarities between the 421 and Conquest I fade quickly. The 425 is substantially beefed up structurally and has more robust systems. Since it’s based on a piston design, the 425 is easy to fly and an easy step up. In fact, with the easy-to-operate turbines, many would argue that the 425 is less complex than the 421. Cockpit visibility is excellent, as is the instrument panel layout. Cabin seats are comfortable once seated. Cessna’s “wide oval” cabin biases more toward elbow room than headroom, so there will be nothing close to stand-up comfort. Performance-wise, the Conquest is good for 250 KTAS at typical cruise altitudes in the mid teens to low 20s. As is usual with turbines, the fuel burn drops off the higher you fly. Also typical of turbines, the winds will dictate choice of cruise altitude vs. fuel burn. Owners often figure 500 pounds of Jet-A the first hour and 400 pounds/hour after that. Blackhawk Modifications Inc. offers 425 owners PT6A-135 engines in place of the original -112s. The Blackhawk holds its max power to much higher altitudes than the original engines, resulting in faster time to climb and a 20-knot increase in true airspeed. Range with tanks full is about 1,200 nm, which leaves about 700 pounds of payload. With six adults on board, range is about 700 nm. The 425 is confident at all weights on 4,000-foot runways at sea level. At lighter weights, 3,000-foot runways are doable. Vref values a 1981 Conquest I at $625,000 while a 1986 model fetches an average of $875,000. Once an owner swallows the reality of six-figure engine overhauls, higher fuel burn, and other substantial cost increases of owning a turbine, he or she will be impressed with the Conquest’s performance and reliability. Pete Bedell is a pilot for a major airline and co-owner of a Cessna 172 and Beechcraft Baron D55. Pete Bedell is a pilot for a major airline and co-owner of a Cessna 172M and Beechcraft Baron D55. Piper’s sleek Malibu/Mirage pressurized singles have always been good performers once they get up to altitude. It’s the takeoff and climb phases that leave a little to be desired. JetProp LLC’s DL and DLX conversions solve that with an infusion of an extra few hundred horsepower.